Yashar (pictured, right) (Yosef Shlomo Rofe) Delmedigo of Candia, Crete (1591-1655) was a colorful Jewish personality of the 17th century, what some might call a true 'Renaissance Rabbi'. A wandering Jew, he toured most of the major European capitals, temporarily settling in some of them and even accepting Rabbinical posts in others. He finally settled in Prague and died there in 1655. Continuing in his tradition are his descendants: the Nachmani family . At the end of the 19th century, the patriarch of the family, then 18 year old Mordechai Gorodinsky (pictured, left) (later changed to Nachmani in honor of a biblical figure who ascended to the land during the time of Nechemia), a passionate Zionist, left the Volozhin Yeshiva-where he had just received his Rabbinical ordination- and his hometown Gorodin in white Russia, to work in the swamps of the burgeoning yishuv. He did not belong to any particular organization or group but was motivated solely by religious Zionism. In fact the family maintained close ties with the Ashkenazic chief Rabbi, and seminal religious Zionist figure Rabbi Abraham Kook. Mordechai married there and went on to become one of the founders of the city of Rechovot. Two of Mordechai's six children later left Israel to study in the United States where they settled permanently . One of them, Amihud studied engineering in New York and is remembered fondly by the writer Reuven Alpert who remembers him as one of the jolly old timers in the Synagogue he attended as a child. Alpert, in his Caught in the Crack: Encounters with the Jewish Muslims of Turkey  describes Amihud as a bit of an eccentric. His (Amihud) testimonies and visions (one describes a ship of Hebrew sailors-what Alpert calls the Jewish version of the 'flying Dutchmen'- another talks of the Yiddish poet Yehoash coming to him and his wife in a dream appealing to be reburied in Israel) appear in Aaron Zeitlin's  book on parapsychology המציאות האחרת .
. Zeiltin, Aaron, Ha-meziut ha-aheret (The other Dimension). Tel Aviv: Yavneh, 1967. Have you read Barzilay's bio on Delmdigo? It is supposed to be Barzilay's one good one but is prohibitively expensive see here for example. I haven't read Barzilay's bio but I did find a link to the first couple of chapters of the book on yahoo books. If I may point out I don't believe that Nechemia was a prophet. IIRC chazal said that there were 48 prophets & don't think N was one of them. You are correct and I have since modified it. Just read your article. As the great grandson of Mordechai Gorodinski, I found it fascinating. As children, we were told we had sephardic background by our grandfather, Ammihud Nachmani. He was a bit eccentric, it's true. We always thought he was a bit 'tongue in cheek' about that. I'm glad to see some verification of his stories. Also, glad to know I'm a direct descendant of Yashar (Yosef Shlomo Rofe) Delmedigo of Candia, Crete. I've done a lot of digging into this family. an ancestor of Yosef DelMedigo, Elia Delmedigo was a very interessting man. Elijah Delmedigo - a Maimonidean Philosopher was also known to his contemporaries as ‘Helias Cretensis’ who was born and died in Candia in the island of Crete, Elijah Delmedigo (ca. 1458/60–93). He was the son of Rabbi Eliezer ben Abba haZaken II ben Shmuel Menachem ben Shmuel ben Elchanan ben Abba haZaken ben Yehuda (Judah of Crete). Judah of Crete descends from Moses ben Jehiel Ha-Kohen Porto-Rafa (Rapaport), a member of the German family "Rafa" (from whom the Delmedigo family originates) that settled in the town of Porto in the vicinity of Verona, Italy, and became the progenitors of the Rapaport family. 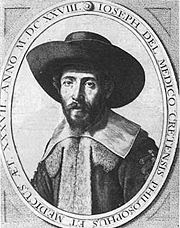 Eli'ezer del Medigo, of Rome, received the surname "Del Medigo" after studying Medicine. The name was later changed from Del Medigo to Ha-rofeh. He was the father and teacher of a long line of rationalist philosophers and scholars. Non-Jewish students of Delmedigo classified him as an “Averroist”, however, he saw himself as a follower of Maimonides. In my research I trace his lineage to Meir ben Simon of Narbonne - who was forced to flee Narbonne, to Mainz (Minz) as a result of repeated disputations with the Archbishop of Narbonne and the King of the region King Louis IX. Several names of scholars and poets emerge from the shadows of tenth century Narbonne: Machir, the gaon Todros (ibn Yahya), and Moses b. Abbun, chiefs of the school of Narbonne; Simon of Mainz; his son Joseph and his grandson Abbun the Great; **Judah b. Meïr ha-Kohen (in French "Leontin")**, teacher of Gersonides; Yes the ancestor of Elijah delMedigo was from Narbonne and was a teacher of Gersonides. 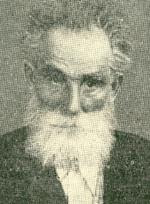 Elijah immigrated to Padua, Italy, eventually become Rosh Yeshiva. As a philosopher, delMedigo found patrons in wealthy xtian Venice authorities; he was selected to mediate in philosophic disputes which arose between two schools of Italian scholars, and his decision in favor of one side aroused hostility toward him on the part of the other. In addition to the animosity he engendered in a portion of the xtians, a bitter controversy on a halachic question developed between delMedigo and Yehuda Minz, and after the death of his patron, Pico, in 1494, Delmedigo was compelled to leave Italy and return to his birthplace, where he was welcomed by Jews and Christians alike. There in 1496 he completed his major work, Behinat ha-Dat ("The Examination of Religion"), which he wrote at the request of one of his disciples Saul ha-Kohen *Ashkenazi. He remained in Crete until his death three years after his return. I have been digging into the history of this family for a long time. Yosef Delmedigo's ancestor Elia del Medigo. Did Rabbi Da Modena believe in gilgul?